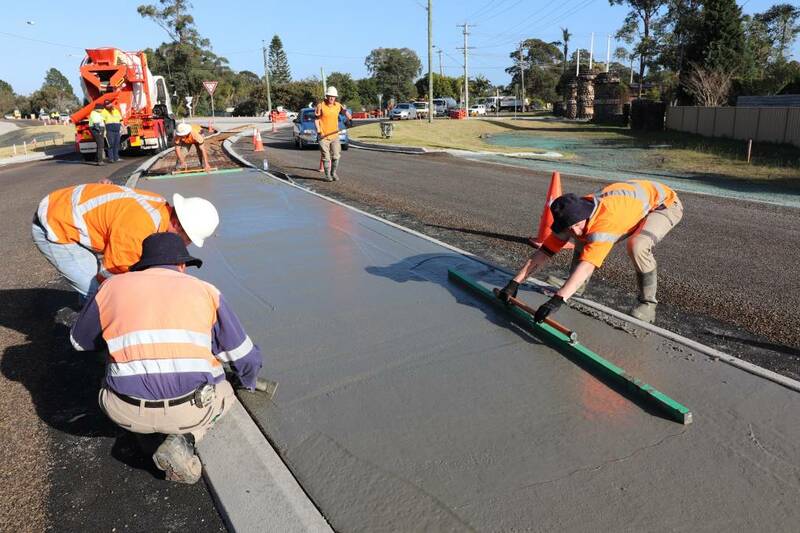 In what is believed to be a Hunter first, concrete made with glass recycled at iQ Renew’s Central Coast facility has been poured at an intersection in Tanilba Bay, Port Stephens. Port Stephens Council poured Greencrete, a type of concrete produced by by Redicrete, which contains 25% recycled glass provided by iQ Renew. “We’re excited to be the first Hunter council to trial Greencrete, reusing recycled glass to reduce our environmental impact and ensure ongoing sustainability in our building works,” the council’s capital works section manager, Philip Miles, said. Greencrete looks and performs the same as normal concrete, however, it reuses recycled glass in place of quarried sand and gravel materials to reduce waste. Copyright © iQRenew, 2017-2019. All rights reserved.